Dr. Alexander Tsai is Associate Director for Trainee Development in the Global Division. He is also Assistant Professor of Psychiatry at Harvard Medical School and a faculty affiliate at the Harvard Center for Population and Development Studies. Through his research, Dr. Tsai seeks to understand how large-scale social forces such as violence, stigma, and food and water insecurity conspire to undermine health and mental health among the poor and excluded. Dr. Tsai’s principal platform for his research and mentoring activities is a population-based social network cohort in Mbarara, Uganda. His research findings have been disseminated in more than 100 original research articles published in peer-reviewed journals. Through his research, he provides primary mentorship to fellows in the Global Division, residents and fellows in other clinical departments at Mass General, and students at Harvard-affiliated schools and institutions. 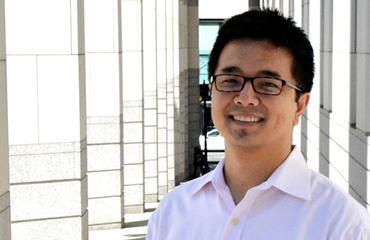 In 2011, Dr. Tsai received the American Psychiatric Association's Health Services Research Early Career Award, given annually to a single psychiatrist under the age of 40. In 2016, he was one of 7 junior faculty recipients of the Excellence in Mentoring Award (Young Mentor Award) from Harvard Medical School. Prior to his appointment at Mass General, he completed a postdoctoral fellowship in the Robert Wood Johnson Health and Society Scholars Program at Harvard University and his residency training in general adult psychiatry at the University of California at San Francisco. He currently serves as a pre-medical tutor for Harvard College undergraduates living in the Adams House residence.